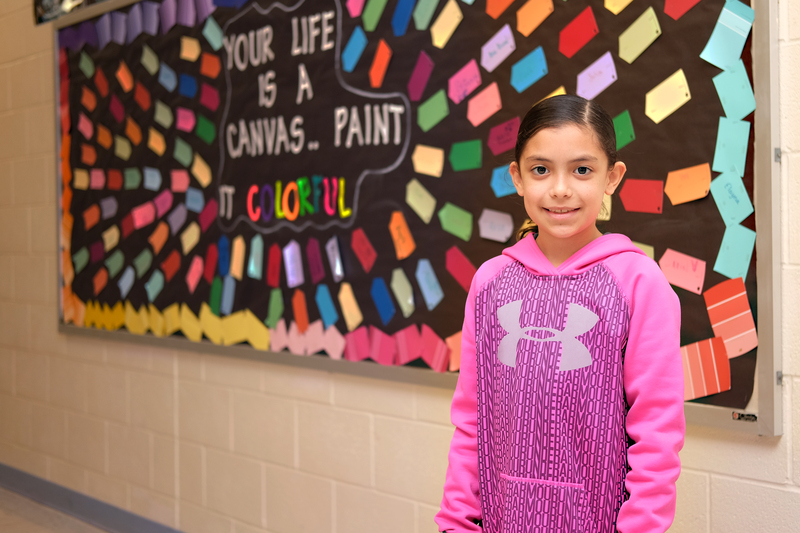 Elayna Munoz, a third-grader at Rodriguez Elementary, was announced as a finalist in the National PTA Reflections program theme search. With 600 theme suggestions received, only five have been selected to represent Texas PTA at the national level. Elayna enjoys keeping herself busy by trying new things. Just last summer, she picked up the violin; this is on top of her other hobbies that include basketball and painting. National PTA will select one exceptional theme from the nationwide search to inspire creativity for the 2019-2020 PTA Reflections program. The student who submits the winning entry will receive $100, and his or her theme will be announced by National PTA in June 2018.